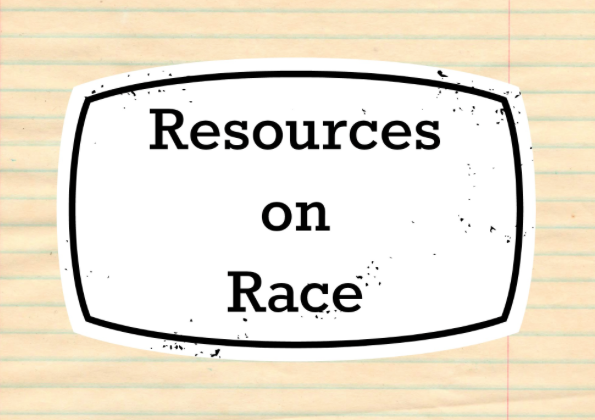 It's time I share the resources I've been gathering for a community-wide initiative on race that will begin in January. I could sit on these resources for another few weeks, but as racist vitriol and privileged ignorance have reared their ugly heads in the wake of the Ferguson grand jury decision--even within our professional community with our mission to serve the public--it is clear to me that anyone who wants resources for helping the children and families they serve deal with these issues should have them immediately, and within easy reach. Because these racial "tensions" (condescending term for it, media) are not new. True, they are getting more press time now--because too many oppressed voices are speaking up for the media to continue to ignore the realities of race in this country, which means higher visibility, which means more opportunities for children, young children in particular, to encounter these issues without context or emotional support. But as I said, these issues are not new. And many children have been living them their entire lives. 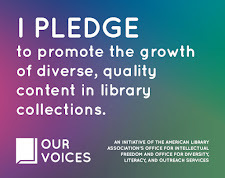 And so we, as public libraries, need to support all members of communities by a) knowing these resources, b) having these resources, and c) sharing these resources. If you have additional resources you think should be added to this list, or find any of the resources I mention problematic, please share in the comments or shoot me an email. I am trying my best, but I recognize I come from a background of profound privilege and have a long way to go to even start to be a strong, fully-informed ally. See this phenomenal resource list from the Free Library of Philadelphia. Why bother talking to young children about race in the first place? The way that children's brains make synaptic connections is by categorizing, and one of the most superficial types of categorization they do is what things/people look like. Acknowledging that yes, different people look different, but that does not define who they are or what they are like, is developmentally appropriate and recommended by child psychologists and child development experts. Even if we assume that children are making neutral categorizations of racial difference on their own (which is a huge assumption), we live in a society that does not promote equal or equitable portrayals of all races. Left undiscussed, research shows that children default to negative stereotypes of race as they see perpetuated in the dominant culture, in media, and even, in some instances, at home. Talking about race in a simple, age appropriate, non-prejudiced way prevents these negative stereotypes from being the only contextual information young children have about people who look different from themselves. All children need to learn that race does not define people, and generalizations about a person based on their race are unfair and untrue. White children, who by virtue of their white privilege have probably never encountered a situation in which they were unfairly discriminated against because of their race, need to learn that prejudices exist and are wrong. Non-white children also need to hear that prejudices are wrong. These children have probably lived innumerable personal experiences of racial discrimination, and they need to hear that the prejudices informing their oppression are wrong and not true so that they do not internalize negative stereotypes as part of their self image. Children's literature is rife with negative stereotypes of non-white persons, and that's in instances when the cannon has even bothered to try to represent diverse voices in the first place. Race needs to be a continual topic of discussion so that children's encounters with racial stereotypes in books and the media are not learned as fact. 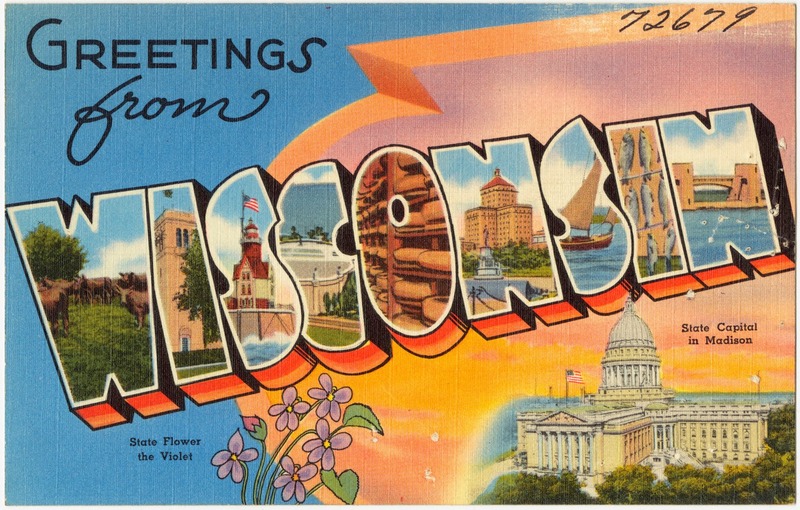 Today I am in Madison, Wisconsin, for the South Central Library System's Summer Library Program Workshop. When it comes to their summer library programs (SLPs), Wisconsin libraries use the CSLP theme--which in 2015 is "Every hero has a story." So, yes. An entire hero-themed presentation! The workshop organizers contacted me to talk about programming through the lenses of Unprogramming and STEAM/maker philosophies, which I did with examples and time for participants to brainstorm with their peers. We wrapped up the morning workshop by exploring a range of SLP alternative options. That's right; SLP doesn't have to be just about reading for prizes any more. And, last but not least, the slides from the workshop. Based on the plethora of excellent superhero-themed, Creative Commons-licensed images out there, this is probably one of my favorite slide decks. Most definitely my favorite title slide. Enjoy! 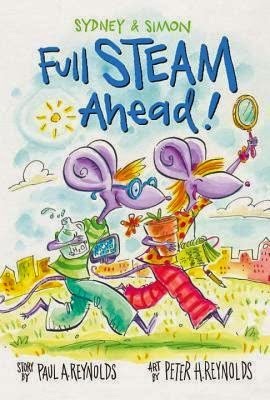 Book Review (sort of): Sydney & Simon Full STEAM Ahead! Sydney & Simon Full STEAM Ahead! by Paul A. Reynolds, illustrated by Peter H. Reynolds, is easily one of my favorite books out this year. I think it's truly an outstanding beginning chapter book--it's got one central premise that we never lost sight of, but will interesting plot developments and twists throughout to keep everything interesting. That is, beginning readers are going to succeed not only in reading the words, but in comprehension, too. It's a very well put-together book. "Do you have any books with twins?" "I'm looking for books with science in them." "I want my child to read something where the characters only use screens sometimes, not all the time." "My child and I are talking about problem-solving. Do you have any stories on that topic?" "I really like experiments and what to read a book with them in it." Now please keep in mind that, when all is said and done, I don't spend much time on the youth information desk here at my new job. So for this book to come up so frequently, and for so many customers to leave happy to have found it--that, I think, is an indicator of a great book. And I'm not just saying that because I love anything having to do with STEAM content areas. This title has been hugely popular in my library in the two months we've had it. I, for one, hope this is just the first in a great new series that will entice beginning chapter book readers with both fiction and non-fiction persuasions. N.B. I reviewed this title for School Library Journal this summer, but after seeing just how many families are picking it up at the library, I wanted to share it here, too. How do we frame the library for our communities? How do we from the library for our community so that the community knows the library is for them? And it got me thinking: how do we frame libraries for our communities? What impression are giving them of what a modern library provides? The fact that Justin Hoenke posted a photo essay about the 2nd Floor of the Downtown Chattanooga Library just a few hours later felt particularly serendipitous, because it put a major idea into stark focus. That idea: the public perception of the library often does not match the reality of the modern library, and we need to work on communicating what, in fact, the modern library is and can offer. What words do you hear folks using to describe public libraries? “Repository” is one that I still hear pretty frequently. And have you heard anyone refer to it as the “lending library” recently? I have. And while libraries do still lend, that’s only part of the picture. Unfortunately, the zeitgeist just keeps touting this idea that libraries are dying--because these (overwhelmingly white, higher SES, male) “thinkers” loudly proclaim that people don’t need physical places to get their physical books in this day and age. And despite the fact that this reductionist view of libraries has been rebutted by folks who know what’s what, it’s still a pervasive image problem. People still see us as that place with the books. And we definitely feed that perception--my guess is, nine out of ten of you are at libraries whose logo somehow incorporates a book. We’re not representing the wholeness of what we offer our communities. Examples: not a day goes by that I don’t hear “You guys have DVDs?” or “I didn’t know you offered programs like this!” And as long as that’s the norm--library as repository for books--maybe we do have a problem. I don’t know that can we realistically expect our communities to engage in all the wonderful things we offer if our image is still so tightly tied to books. So how do we better frame libraries for our communities? How do we effectively convey all that we offer? What words do we use? Is it about learning experiences? Is it about discovery? Is it about knowledge? How do we connote all that we are in an accessible phrase? The library is a _______. I don’t know that I can adequate begin to fill in that blank from my perspective within the library. To me, “library” really does mean all the wonderful things that the modern library offers. 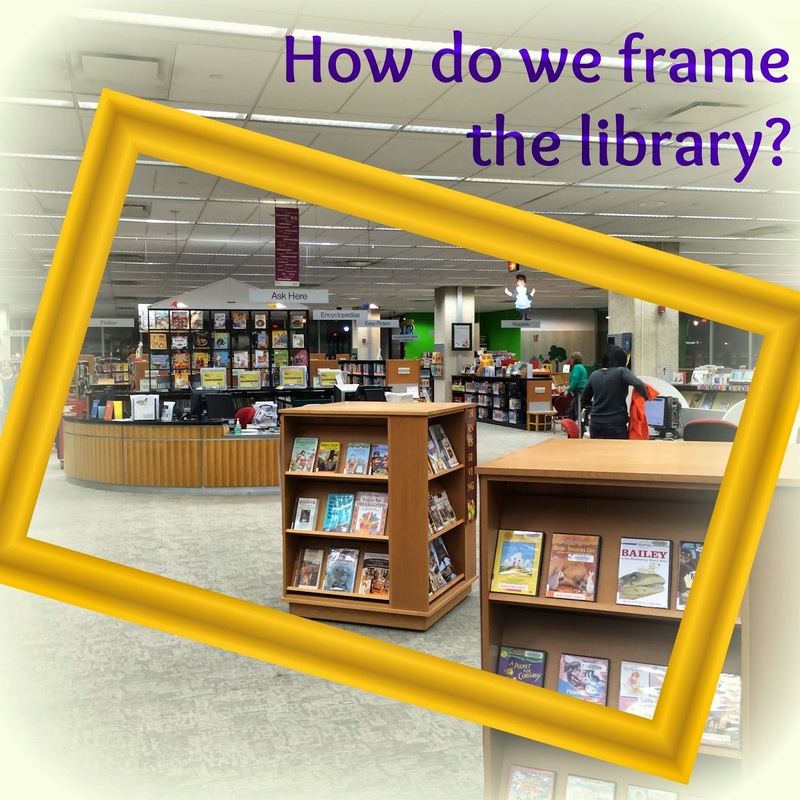 How, then, do we come up with a statement, a frame, a metaphor that ensures everyone in our communities can be initiated into what our libraries are?